Dollar Tree find. Samanosuke came up with the name. 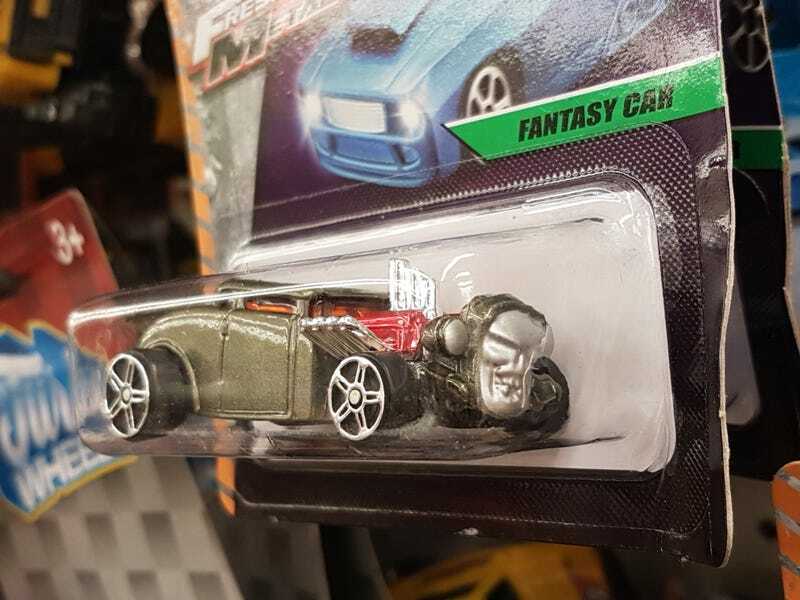 It would be interesting to see what the Reddit mob has to say if someone where to swap this onto a Bone Shaker card and return it to the store, especially if it were the Ultimate Chase. Imagine how incited people will get by seeing a $1 car swapped for a $1 car.